What’s Up? A party! Hosted by Bainbridge Island Kitezh, formerly Camp Siberia. For those of you who remember Camp Siberia, it is alive and well, better than ever, with a new name: Bainbridge Island – Kitezh. 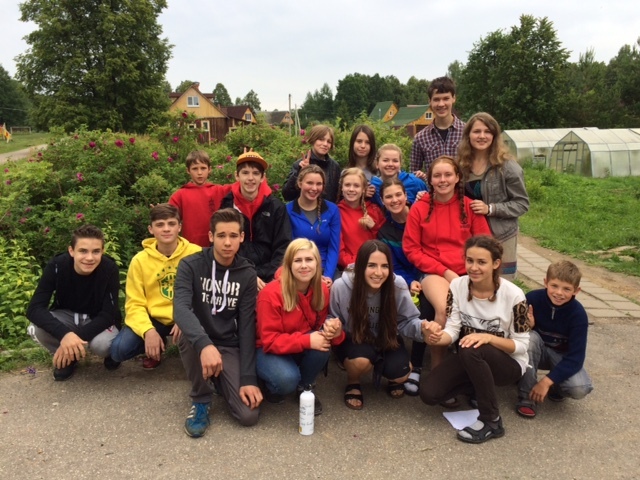 Still providing BI youth with a unique cultural opportunity to spend a few weeks living in Russia with other kids, they are no longer operating a camp in Siberia for Russian kids. In this fascinating interview, BI-Kitezh board president Loretta Stanton describes the Kitezh and the cultural exchange experience to BCB host Channie Peters. Kitezh is a community of teachers who have created a home for Russian orphans, who are selected to join the community from orphanages all over Russia. In each of the past three years, about 8-10 Bainbridge Island youth have spent a few weeks living in the Kitezh community. Eating, playing, and working together with the teachers, their families, and the Russian orphans, our students help with the daily work of maintaining the community. This year, our BI students will spend one week helping to set up Kitezh community’s annual games, a week of participation in various types of games by orphans from all over Russia; and then our students will join in the games for a second week. BI-Kitezh will be hosting a party on March 19th at Grace Church from 6 – 9 pm with champagne and vodka to celebrate the name change from Camp Siberia to BI-Kitezh, and to tell interested islanders about the great opportunity for our students to spend a few weeks living in the Kitezh community. Tickets may be purchased online at http://campsiberia.com/party/ for youth and adults. Please purchase tickets by March 10th. Credits: BCB host: Channie Peters; audio editor: Chris Walker; social media publisher: Diane Walker.